Thanks to Nava Atlas of vegkitchen.com, we will be having matzo balls this year! I did right by my great grandmother Rae, my grandmothers Joan and Shirley, my Aunt Tami, and my Mom. They taste just like the matzo balls at all of our seders my whole life! Here is Nava’s recipe which I followed exactly. * My mother uses Streit’s so I use Streit’s. 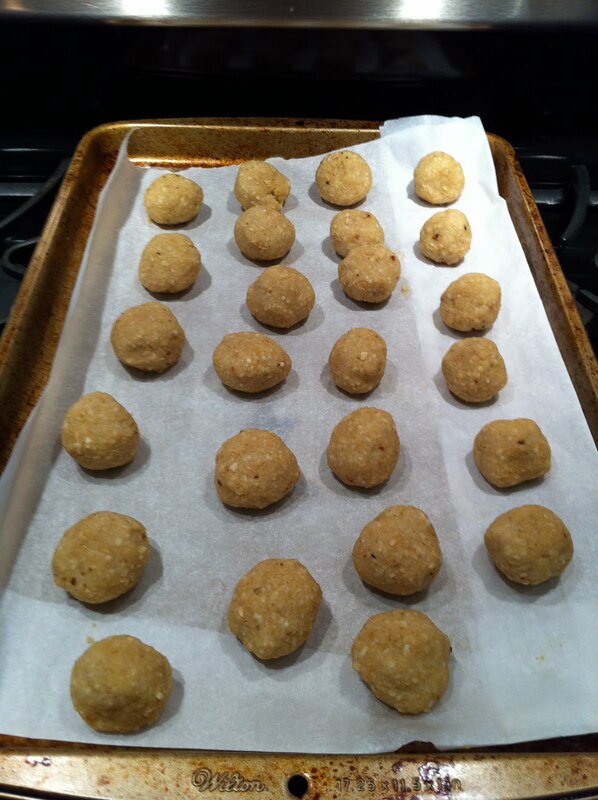 Roll the matzo meal mixture into approximately 1-inch balls; don’t pack them too firmly. Arrange on a parchment-lined baking sheet. Bake for 20 to 25 minutes, carefully turning the matzo balls after 10 minutes, until firm to the touch; don’t let them brown. If making ahead of time, let the matzo balls cool completely, then cover until needed. Warm them briefly in a medium oven and distribute them among the soup bowls, allowing 3 or 4 matzo balls per serving. SOOOOOO awesome!! Can't wait to try this one out!! Perfection and success!! Mazel Tov 🙂 And p.s. I think everyone loves matzah balls – not just on passover!